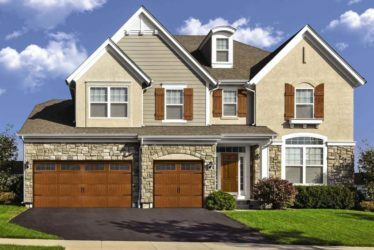 Since 1974, Fort Wayne Door has been providing the complete range of garage door repair, installation, and maintenance services for our customers, both at home and at work. We make it our mission to provide you with the very best residential and commercial garage door service in the Greater Fort Wayne area! At Fort Wayne Door we do business the old fashioned way: with honesty, integrity and quality work we can stand behind 100%. Lifetime Fort Wayne resident Gordon Murphy has owned and operated Fort Wayne Door, Inc. for over 35 years. Because we’re not a factory-owned store or national franchise chain, we can tailor our products and services to exactly what you want and need – no pushing, no upselling, and no corporate quotas! See our “About Us” page to hear Gordon tell our story! Click here or call 260-483-5600 today to schedule your garage door repairs and maintenance! FREE estimates for new doors and sections. When you need a quick section or door replacement, call us today for a FREE estimate and see what we can do for you. Lifetime resident Gordon Murphy has owned and operated Fort Wayne Door, Inc. for over 30 years. Fort Wayne Door is not a factory-owned store or national franchise chain. This enables us to tailor our business to your exact needs. • We do it all: we’ll service and install doors and openers for houses, barns and all sorts of commercial properties! • Did you know we were the first Fort Wayne door company to offer same day service? Our reliable garage door specialists are here when you need a quick repair or installation! • Our non-commission sales staff will provide you with all the answers you need! • If your old door needs major repairs, or if you’re looking to upgrade your curb appeal, a new door and opener can be a great investment. • If your old operator is on its last legs, we can install an even more reliable new one. 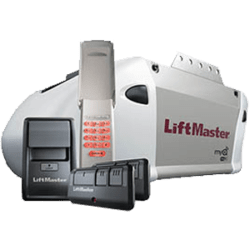 • Truly useful features on our new garage door openers include a backup battery and the ability to make sure your door is secure – from your smartphone – no matter where you are! • We work with many companies, landlords and property managers because our experienced service technicians and quality products get the job done right the first time. • Let us take over the worry and bother of keeping your doors up and running. 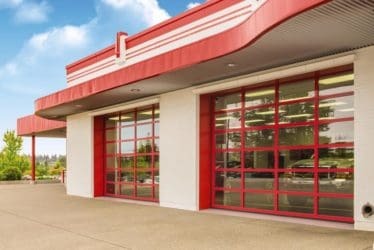 • We provide quick-response repairs when things go down, preventative maintenance (PMI) programs to keep them from going down next time, and required annual fire door test drops to keep you compliant with fire codes. Our technician was wonderful! Instead of replacing the entire motherboard, he took a closer look and saw that one of the joints had cracked and repaired the joint with some solder. Appreciate that Mark took the time to repair rather than doing a costly replacement! Excellent, quick, same-day, service. Highly recommend! The twenty minute call-ahead to let you know the technician is on his way is much appreciated. Friendly, courteous, professional office person and same for the technician. Excellent, quick, same-day, service. Highly recommend! Great service! They were fast and the price was extremely reasonable. Best Door company in the Fort, Period!! Copyright © 2018 Fort Wayne Door, Inc.